El Paso is a jewel in the desert. Nestled between the rugged Franklin Mountains and the historic Rio Grande, this dynamic border community combines the advantages of a metropolitan center with the ambience and neighborly charm of a picturesque western town. 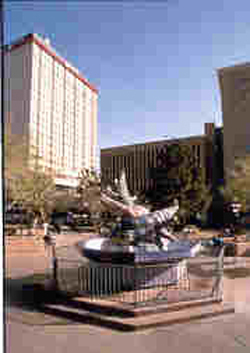 El Paso is a major transportation hub, providing state-of-the-art educational and medical facilities, abundant cultural and entertainment opportunities, year-round sports and outdoor recreation, a low crime rate, some of the best weather conditions on the planet, and an extremely favorable cost-of-living index. We are a cosmopolitan community; seven in ten El Pasoans are bilingual in English and Spanish, and people from all over the world come here to live, work, do business, get an education, or retire. El Paso abounds with places to go, things to see. Here is just a small sampling of the variety of attractions you will find. 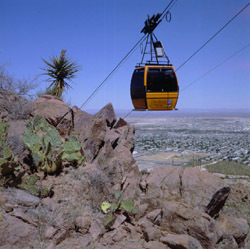 For information on the following attractions, click on the photo and the link will take you to www.VisitElPaso.com -- to return to this site, click the back browser on your computer. Although El Paso is thousands of miles from Broadway, local stages offer performances year round. From theater to dance to symphony orchestra concerts, a night out on the town can always include a great live show. 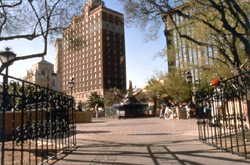 El Paso offers a wide variety of sporting activities and venues to satisfy the most avid sports enthusiasts. Our sporting and recreational activities escalate in the fall as the weather cools down. 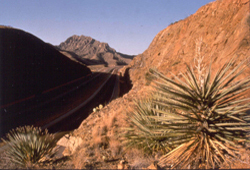 El Paso is part of the Chihuahuan Desert, one of the largest deserts in the world. The flowers and fauna of this region are like no other, with spring blooms spectacular. To view native plants, visit one of several local botanical gardens or hike through an arroyo – be sure to bring a camera and sun screen. El Paso and Las Cruces are home to several universities and junior colleges. From sporting events to art exhibits to Bhutanese architecture, the educational facilities are a good place to start when planning your next trip to the borderland. This city offers great fun for families big or small. Spend a Sunday biking along the Rio Grande or feed the baby goats at the Licon Dairy petting zoo. 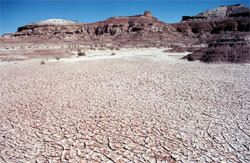 Or go to Western Playland, which offers visitors rides and roller coasters under the warm sun any day of the year. One of the United State’s largest bases and home to the annual Amigo Air Show, Fort Bliss has museums, fairs, and one of the biggest PX's in the Southwest. Ft. Bliss has some of the oldest architecture in El Paso, so history and military buffs alike will find plenty to do. El Paso and New Mexico offer many fishing opportunities from trout to catfish, stocked lakes to streams; any fisherman can find his catch of the day. El Paso serves as a cultural corridor that introduces thousands to our history. 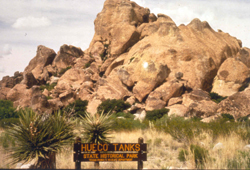 With our extensive diversity one can learn about the native Tiguas culture, hear the story of the grim fate of the notorious outlaw John Wesley Hardin, or you may visit the Magoffin Homestead, one of El Paso’s prominent founders. One of El Paso’s hottest attractions is Juarez, Mexico. Juarez is a cosmopolitan border town that offers everything from dining to dance clubs to great shopping. Pesos or dollars, English or Spanish – the possibilities for a great time are endless when visiting Juarez. 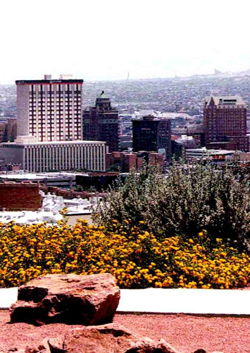 El Paso attracts world-class photographers, painters, sculptors and muralists. Visit the market at Café Mayapan for a hand-woven dress, or go to the Adair Margo Gallery where Tom Lea’s great works are presented. From galleries to museums to architecture to walking tours, the opportunities for art are endless. In the mood to ride a sled down a hill of gleaming white sand? Or how about fishing for fresh trout in the middle of the Lincoln National Forest? This region is home to some of the Southwest’s most spectacular National Parks. Pack your picnic basket and choose from one of the many city parks or grab your swim trunks and splash into a city pool! Locals and visitors alike can enjoy the fruits of harvest during the summer and fall with tasty spicy chilies, refreshing Zinfandels and candied pecans. Visit one of the many orchards of the upper Rio Grande by taking a Sunday drive along Highway 28 under the cool canopy of Pecan trees. Golf Courses in and around El Paso can be played year round. El Paso has magnificent landscapes and brilliant sunsets. The variety of terrain is extraordinary and ideal for any type of excursion. WINERIES: The sun shines in El Paso approximately 302 days per year, earning it the nickname “Sun City.” With all that sun we have the finest regional vineyards. Raise your glasses to doing Texas different! La Viña Winery: Thousands of wine lovers tempt their taste buds at La Viña Winery. Visitors have the opportunity to educate themselves in the art of wine tasting from noon to 5 p.m. daily. The tasting room and patio are open daily for sales and wine sampling. 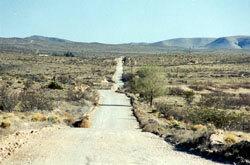 One of New Mexico's oldest wineries, La Viña is location at 4201 NM Highway 28, one mile north of Vinton Road. Call for more information. or by appointment Tuesday through Thursday.